The twin South Korean brands, Kia and Hyundai, have moved to the top of the pack in the 2015 J.D. Power and Associates Initial Quality Study released Wednesday, the most closely watched gauge of quality in auto manufacturing. The Kia brand ranked second behind the top brand, Porsche, which took first for the third year in a row. And the Hyundai brand moved up to fourth place, right behind third-place Jaguar. Both Kia and Hyundai are owned by the same company, Hyundai. "We believe the J.D. 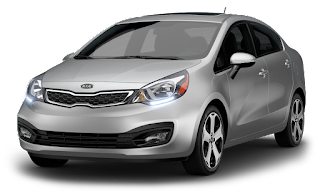 Power report leaves no doubt that Kia builds world-class vehicles, and the results are especially gratifying as the IQS study truly reflects the voice of our customers," says Michael Sprague, executive vice president of Kia Motors America. The latest rankings represent a turnabout from the many years in which Japanese brands have dominated the listing. Overall, Power says Japanese brands are now collectively below industry average for the first time in 29 years. The highest-rated Japanese brand is now Nissan's Infiniti in fifth place, up from below average last year. "For so long, Japanese brands have been viewed by many as the gold standard in vehicle quality," says Renee Stephens, a Power vice president, in a statement. "While the Japanese automakers continue to make improvements, we're seeing other brands, most notably Korean makes, really accelerating the rate of improvement." Detroit's Big 3 makers fared generally well. Chevrolet placed highest among traditional U.S. brands at seventh, followed by Ford's Lincoln in eighth. Both were ahead of Lexus and Toyota, which placed ninth and 10th. Ford has now climbed back above average after falling near the bottom two years ago. The index is based on responses from 84,000 drivers who have bought or leased a 2015 car or truck model. It is based on defects or problems in the first 90 days of ownership. Another Power study covers how vehicles hold up in the longer term. Overall, the study finds that cars are getting better. There was a 3% improvement in this year's study compared to last year. That translates to the finding of 112 problems per 100 cars, down from 116. At the opposite end of the quality scale, Fiat was the worst car for quality, followed by Daimler's Smart car and the Chrysler brand. Automakers that fared poorly were often tripped up by balky or complicated infotainment systems that frustrated owners. For the third year, Power says connectivity and entertainment systems were the biggest trouble spot. Buyers complained of phones that couldn't be paired to the Bluetooth systems or voice recognition systems that didn't understand them. "Smartphones have set high consumer expectations of how well technology should work, and automakers are struggling to match that success in their vehicles," Stephens says. Yet for all the trouble they have caused, the systems have become more popular. The numbers of owners who said they had voice recognition in their new car hit 67%, up from 57% in 2013. Automakers have been pushing hard for the systems as a way of reducing distraction behind the wheel.